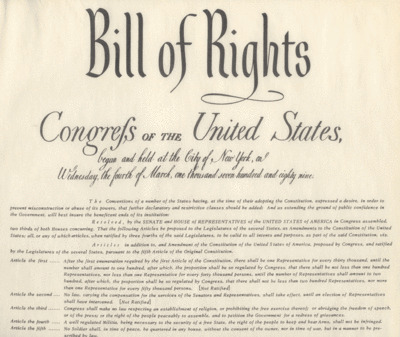 When Did We Forget the Bill of Rights? 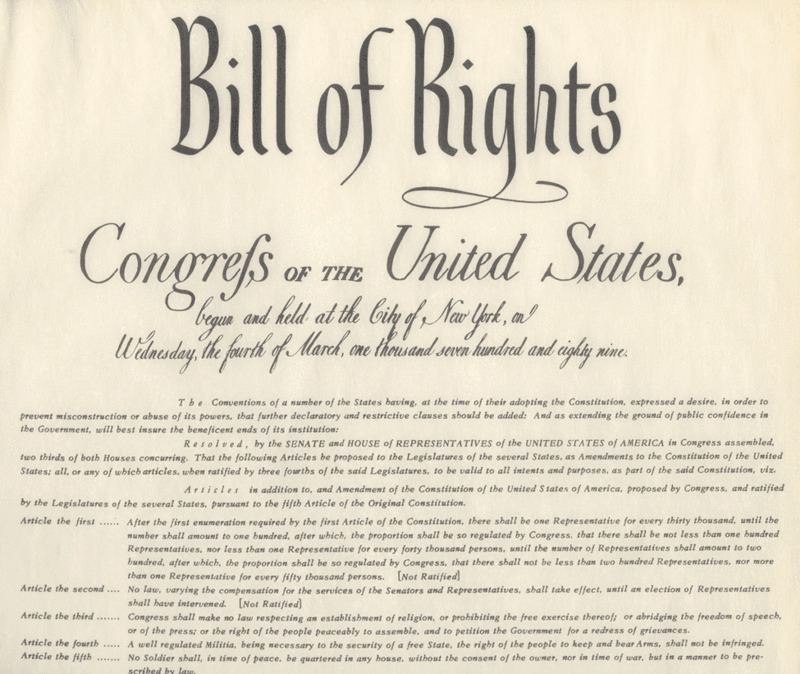 I’d like to ask the Republican leaders a simple question: When did you stop supporting the Bill of Rights? The Bill of Rights is about our civil liberties. It is about our freedom, the freedom for which men and women in uniform are fighting and dying. Protecting our civil liberties is not “pandering to radical Islam” or “caving into political correctness.” Denying our civil liberties plays into the hands of terrorists, letting those who would undermine American values, win. Conservatives go on and on about the importance of upholding the Constitution. Their claim is that President Obama has been “trampling” the Constitution throughout his first 20 months in office. But suddenly, when he explicitly upholds the Constitutional rights of Muslims to build a place of worship on private land, these “staunch defenders” of the Constitution are nowhere to be seen. As we head into the midterm elections in November, before you make a decision about who deserves your vote, I’d ask that you take the time to ask the candidates whether or not they support the Bill of Rights. Use this case of the New York City mosque as a litmus test, because there really is only one way to support the Bill of Rights and the US Constitution. That’s to answer “no” to Mayor Bloomberg’s question: the government should not attempt to deny private citizens the right to build a house of worship on private property, based on their particular religion. This entry was posted in Uncategorized and tagged Bill of Rights, Constitution, Freedom of Speech, islam, Mosque, muslim, New York City, Obama, politics, President, Religion, Republicans, Tolerance by christao408. Bookmark the permalink. @LoBornlytesThoughtPalace – Wrong troll. It is a slap in the face to all those who died to uphold the Constitution of the USA. BTW you have no clue. Thanks for setting me straight. Not being familiar with that area I was unaware that the proposed mosque site was several blocks away. I still think Krughhammer’s comments were legitimate, but not as applicable to this particular issue as I thought.